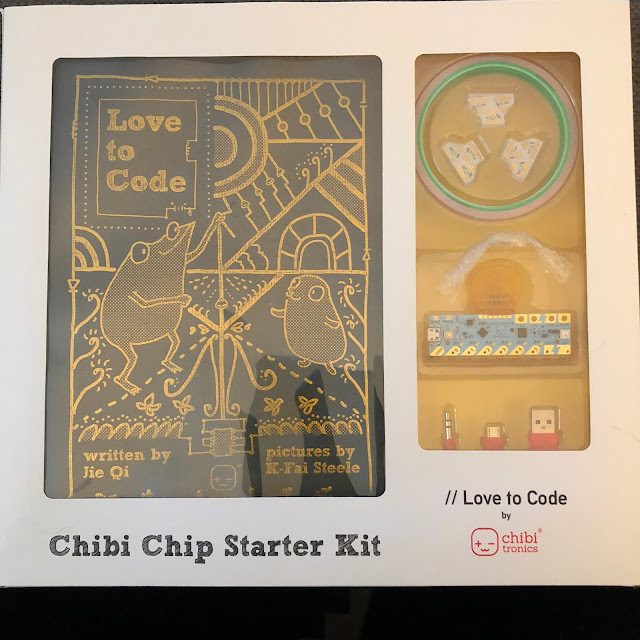 We were sent the Chibi Chip Starter Kit from Timberdoodle. 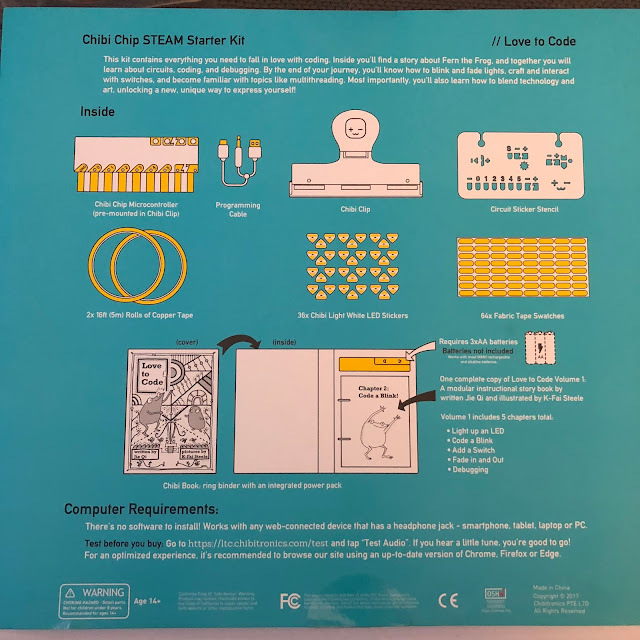 My boys were so excited to receive this coding set and we got started right away. This is how the kit arrives and everything that comes in it. The kit includes everything you need except 3 AA batteries. 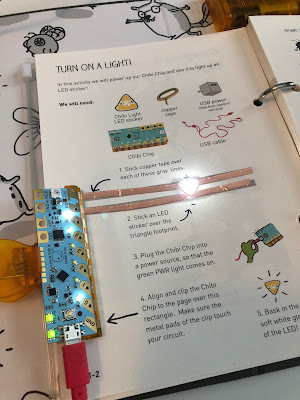 The book is a nice binder that has step by step learning instructions on how to light up an LED, code a light to blink, add a switch, fade in and out, and debugging. My only complaint was that the binder rings could have been a little bigger as it was difficult to turn pages with out tearing them. 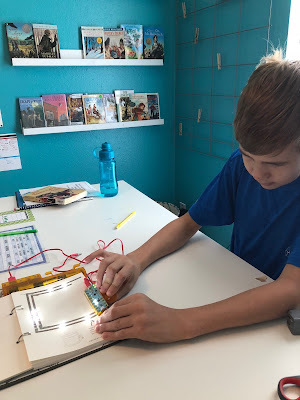 The first activity is creating a circuit and lighting an LED light. 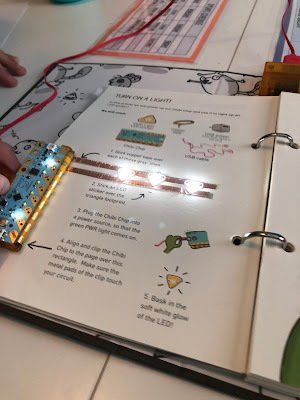 We laid down the copper tape as the books says and added the Chibi Chip Clip to the page and it lit up! The boys thought it was so neat! They were very amazed at how it worked. 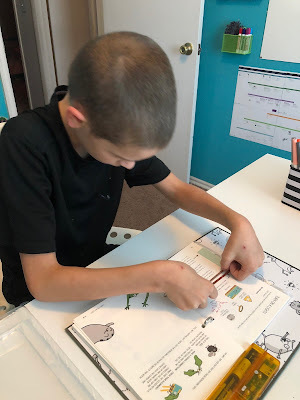 We moved on in the first section of the book and it showed us how we could add two more lights to the previous section and that all three would light up. So of course we had to try it out! 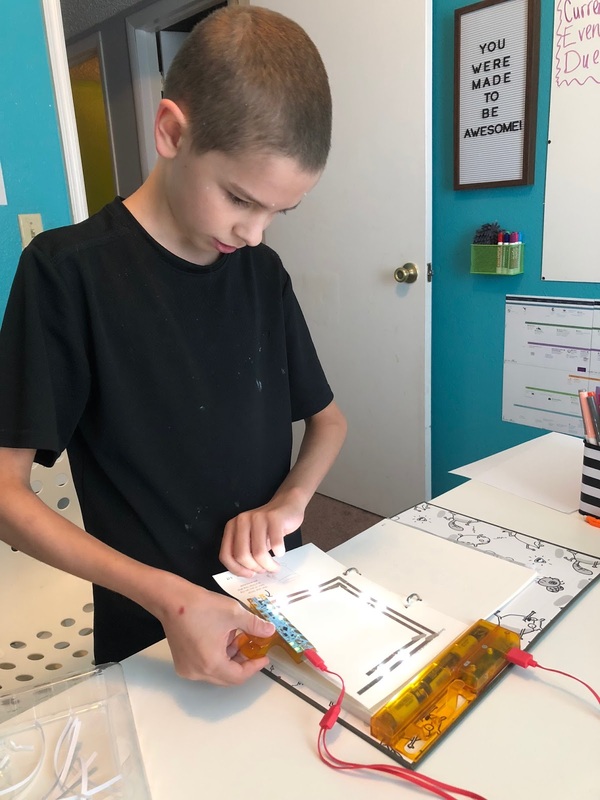 The last part of the first section included how to do turns and to create circuits with turns. They worked together and added lights all along the path. The lights lit just as they should and the boys again we so excited! 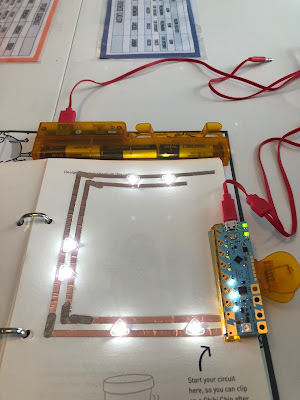 My favorite part of this kit was that not only was it hands on, but it was also very informative with how each aspect worked. They learned about electricity and circuits. 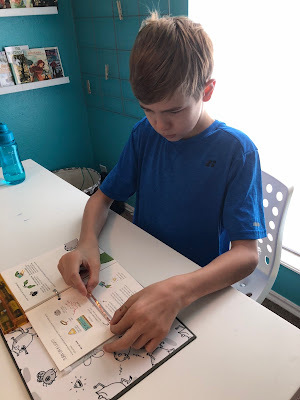 We will be continuing through this kit over the school year and I can't wait to see how much more they learn. If you are interested in the Chibi Chip Starter Kit head over to Timberdoodle to get it! 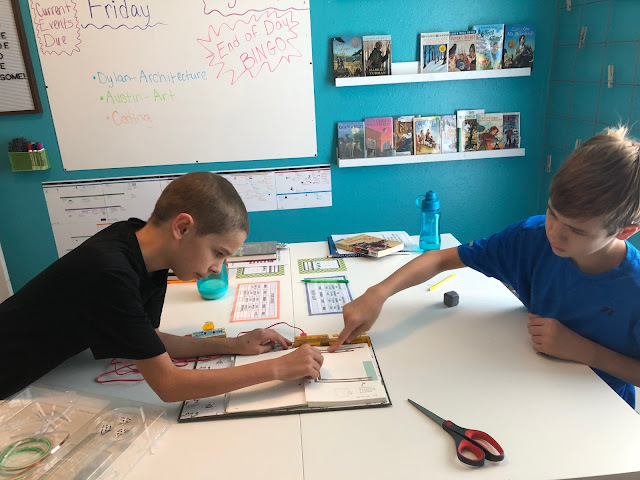 I love when kids work together like this.